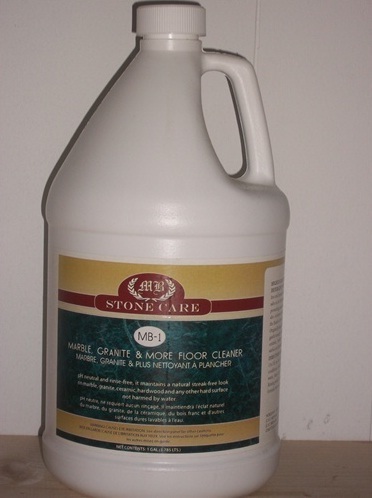 We highly recommend a natural stone neutral floor cleaner for daily cleaning on all your natural stone, terrazzo, concrete and really, all your hard surfaces. 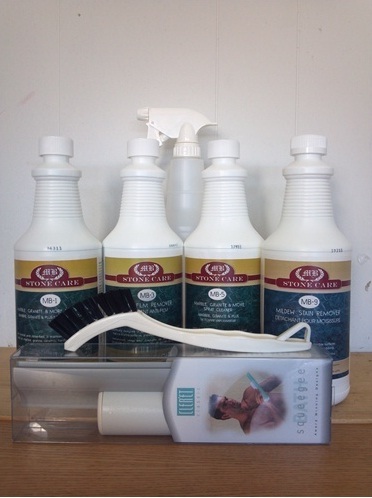 A neutral pH cleaner is great for all tile surfaces including ceramic and porcelain tile and laminate and wood floors. Make sure when looking for a neutral cleaner that it says it's safe for marble, limestone and travertine surfaces, as there are some neutral cleaners that say they are neutral, but can still etch marble. 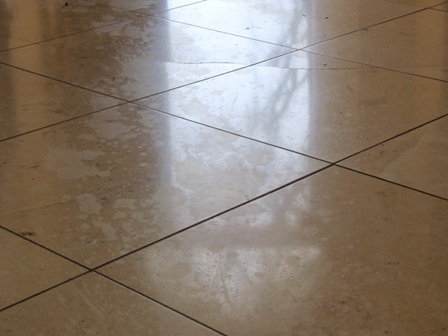 If it's safe for marble, then it's safe for travertine, limestone and all terrazzo and concrete floors. We see a lot of marble floors where the finish has been etched by products that are acidic and react with the calcium in the stone. Look carefully at the photo to the right. The house cleaning company used a cleaning product that etched the marble surface the instant the product touched the surface of the marble. The marks you see are from the product they used and can only be removed by removing a layer marble, which is part of the marble restoration process. We see this over and over, whether it was your house cleaners who did it or you, the marble needs to be re-surfaced, which is not cheap to do. Don't let this happen to your marble surfaces. It's probably best that you provide the products for your house cleaners. 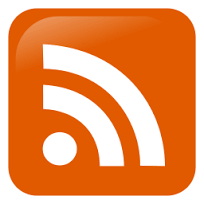 I've heard it countless times, where the house cleaners say they had a new person with them and that they used an acidic product that etched the marble surface. 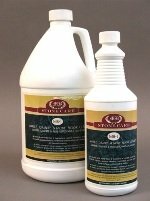 For natural stone surfaces or even ceramic and porcelain surfaces, you need a safe, non-acidic neutral pH cleaner that you can trust. 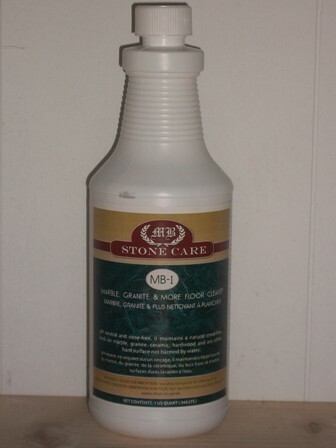 The best natural stone neutral pH cleaner we've found and recommend to all our customers is MB-1 Marble, Granite and More Floor Cleaner. 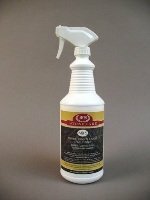 This concentrated, safe, non-acidic and streak free formula, is great on cleaning soil and grime on all natural stone, ceramic and porcelain surfaces. Inorganic salts in the formula act as moisturizers and optical brightners, that actually enhance the shine of the floor. No need to buy special products for each surface. 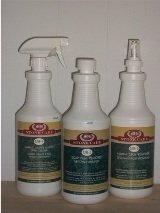 This product is safe and effective for all your household surfaces.